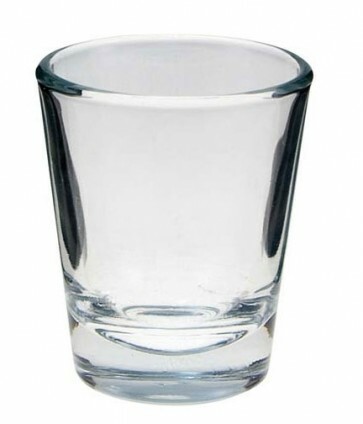 Clear glass shot glass with an approximate capacity of 1.75 oz, includes a 1 color imprint that is baked on for a long lasting imprint life. Clear glass shot glass with an approximate capacity of 1.75 oz, includes a 1 color imprint that is baked on for a long lasting imprint life. Make your party, event and promotion something people will remember by getting the custom shot glasses.